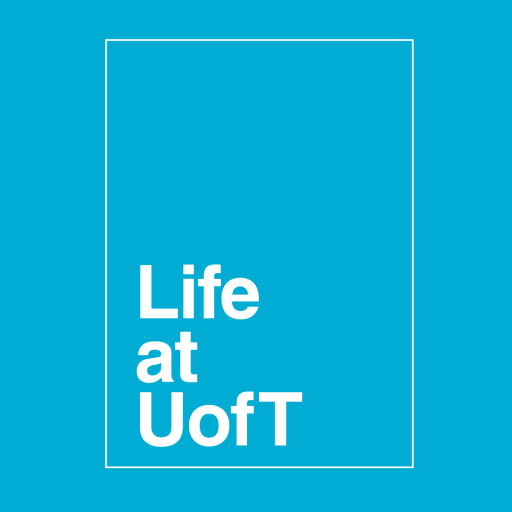 The other day I was thinking about the summer before my first year and how excited I was to start at U of T; at this point 2 years ago, (2 weeks into my summer vacation) I already had a detailed packing list, thought I had my entire degree planned out, and was just all around super keen. I knew where I would be living and had toured my college a couple of times however one thing that I didn’t know much about was where my actual classes would be. 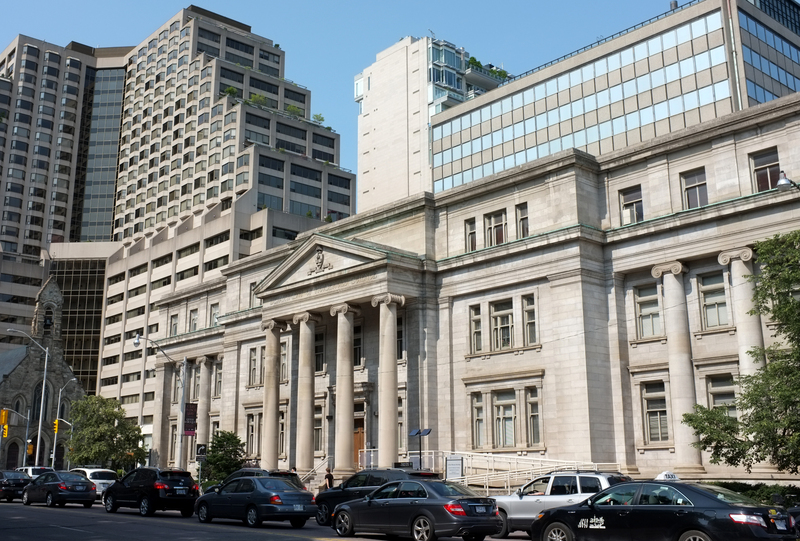 I had heard a lot of History classes were at Sid Smith (which I vaguely remembered from my U of T tour) but aside from that I was clueless. Now halfway through my History Specialist I’ve taken quite a lot of History classes in a variety of buildings so I thought I would put together a post showing some of the locations of History Classes. 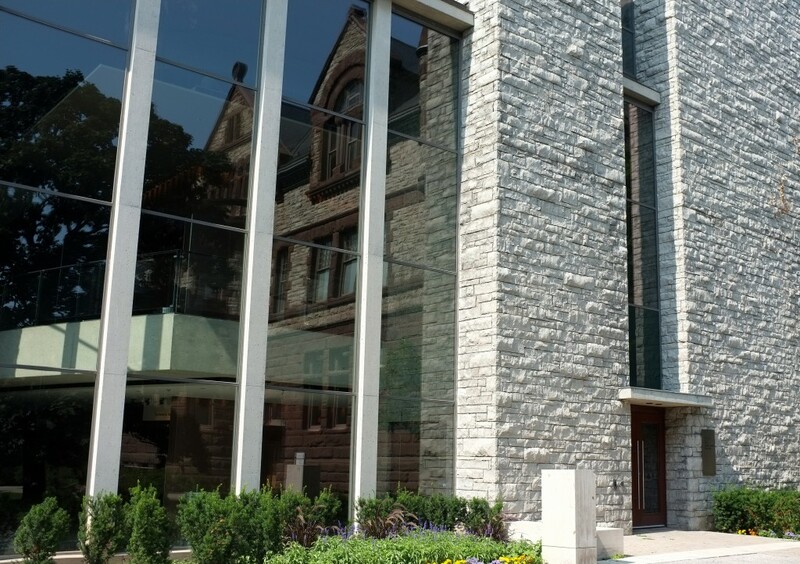 If you aren’t planning on being a History major you may still find this useful as a lot of VIC, English, History and Philosophy of Science, and French classes take place in these buildings at Victoria College as well. 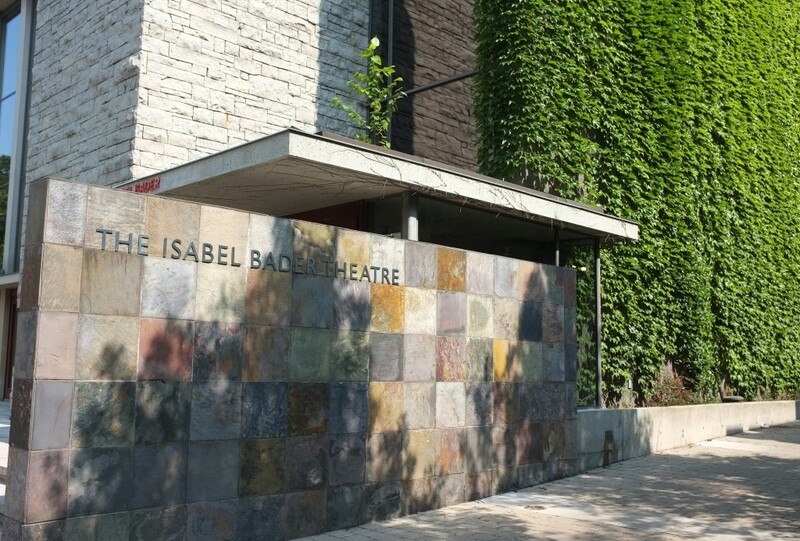 Isabel Bader Theatre (BT) only has one lecture hall but it’s probably the nicest lecture hall I’ve been in at U of T. If you take HIS109 it will probably be in here along with some of the larger second year classes. 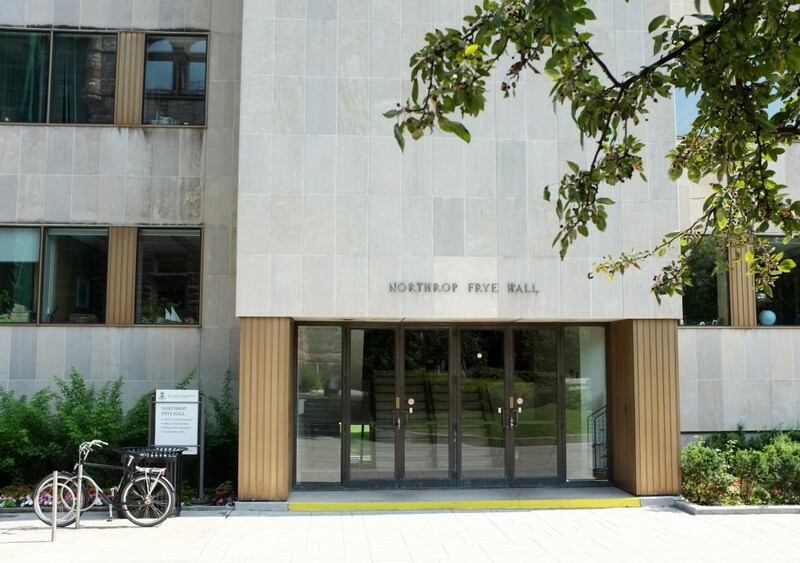 Northrop Frye (NF) has a mixture of lecture halls and smaller classrooms plus a lot of professor’s offices. 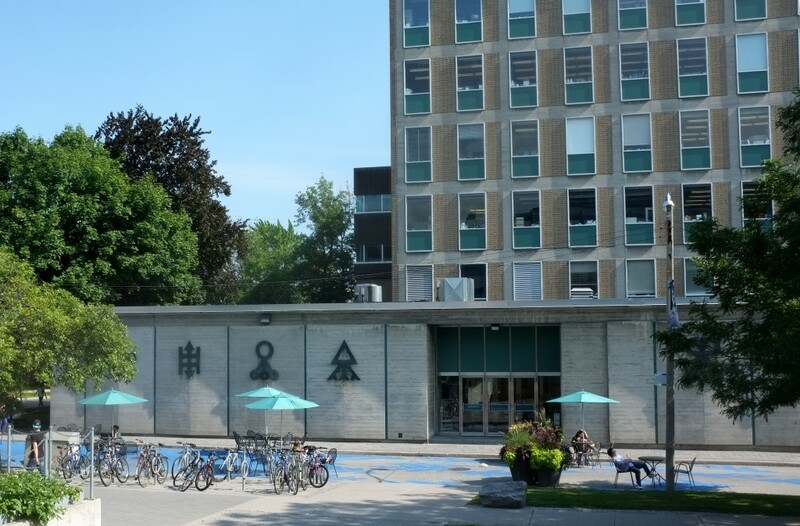 Emmanuel College (EC) is also at Vic and is mainly used for tutorials. It’s super handy when you have a class at Bader or Northrop Frye and a tutorial right after at Emmanuel. Sidney Smith Hall (SS) is where the History Department is located (up on the second floor) and also hosts quite a few classes and even more tutorials. I don’t think I’ve had a semester go by without a tutorial in here. 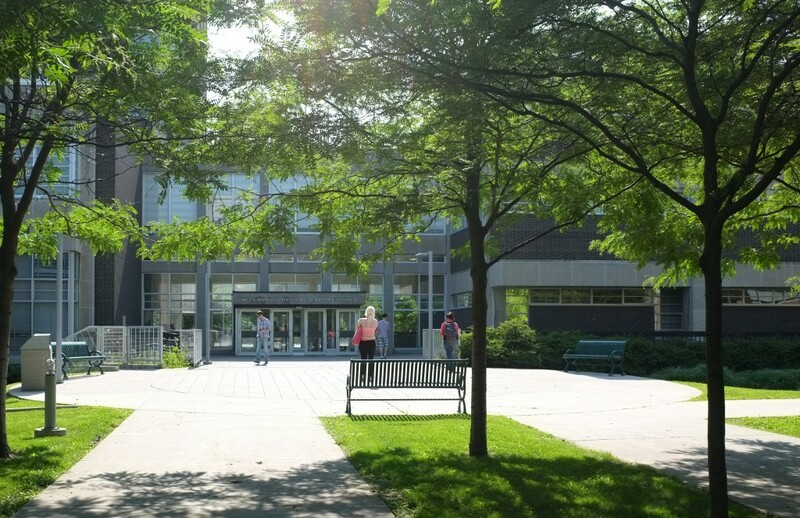 Sid Smith also houses the Linguistics, Political Science, Psychology, Stats, and Geography departments and due to it’s location on St. George, it’s ample seating areas, and the Sid Smith Cafe it’s a pretty busy hub of student life. 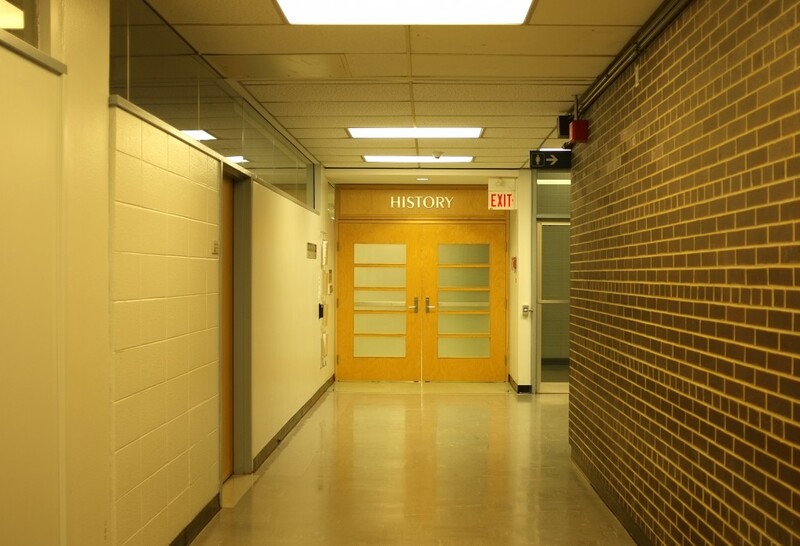 The history department (including the student lounge where TA’s will often hand back/accept essays) is behind these doors. 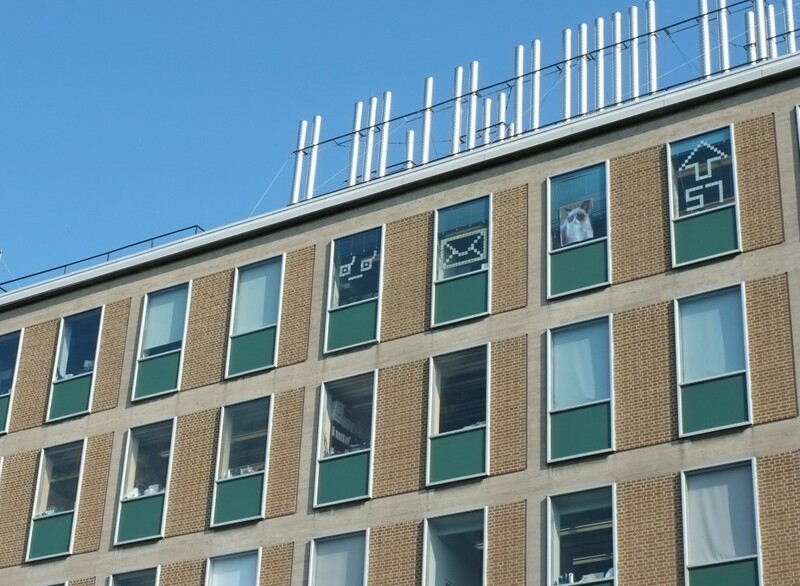 It’s on the second floor when you go up the stairs at the north end of Sid Smith and took me about 20 minutes and 5 text messages to find it in first year. 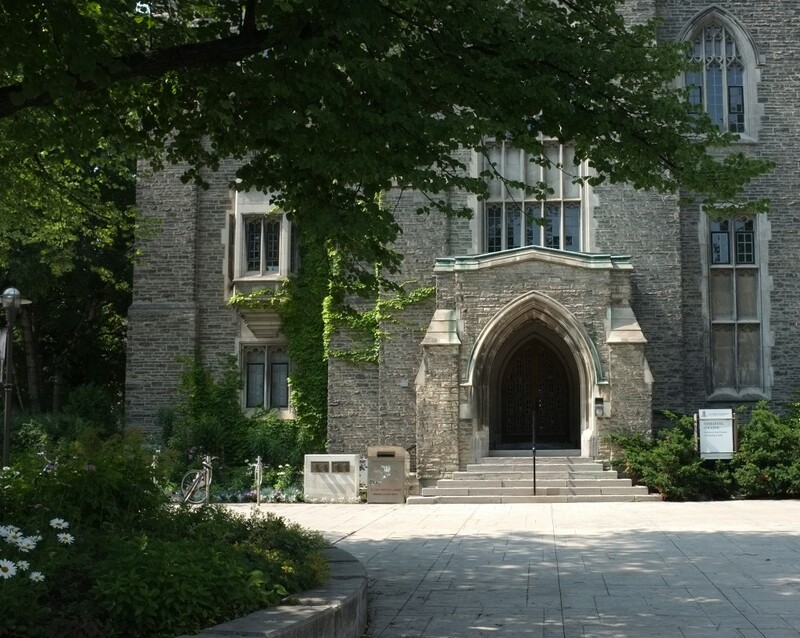 Lash Miller Chemical Laboratories (LM) doesn’t seem like a spot in which you would find people learning about Russian History but because U of T is a mysterious place in which many things do not make sense many a history course takes place here right along side science classes. 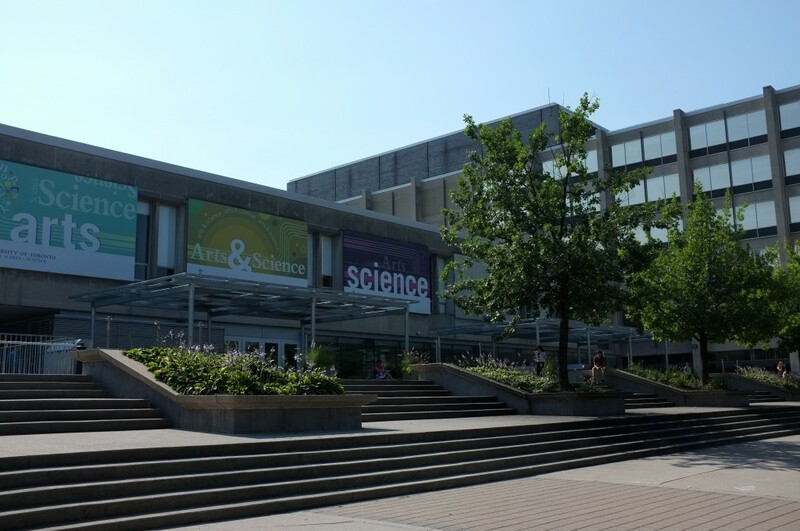 It’s right next to Sid Smith on St. George street so it’s pretty convenient if you have a block of classes in a row that are all in mysterious science buildings. 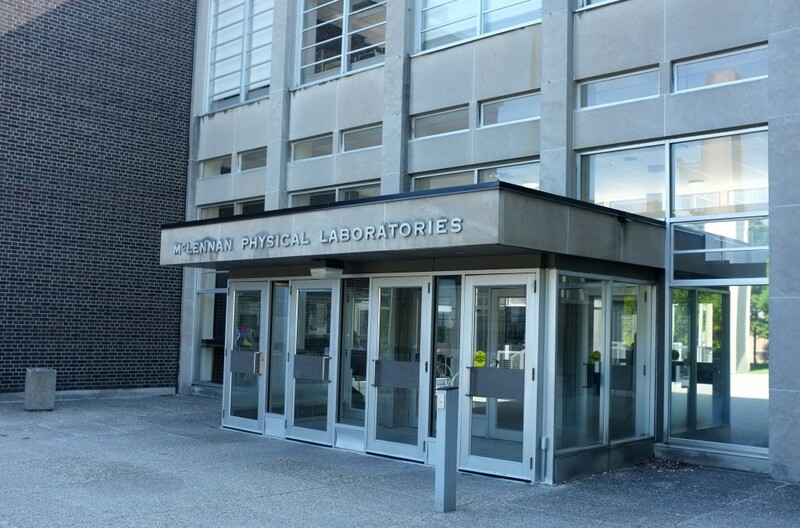 McLennan Physical Laboratories (MP) is another example of U of T not making sense. There is a tiny little place in this building where you can buy snacks and also chocolate soymilk which is a necessity on days when you have long blocks of class and no time to eat. 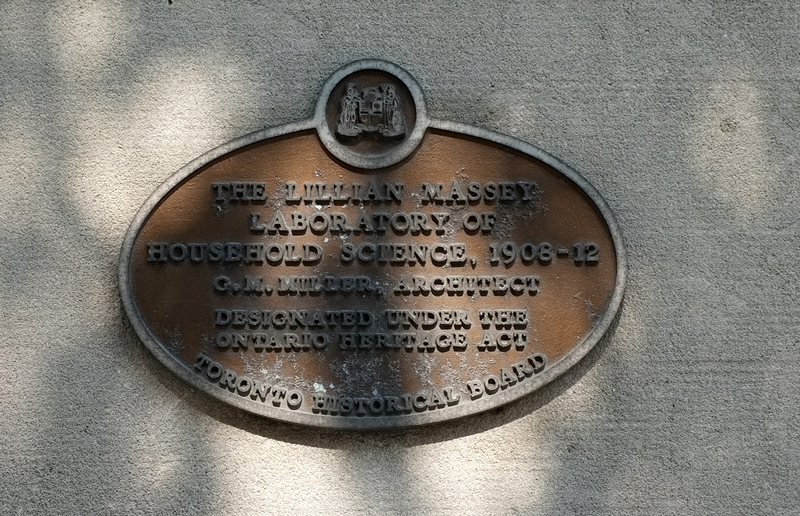 Lillian Massey Building is not a history building but I just love the history behind it. 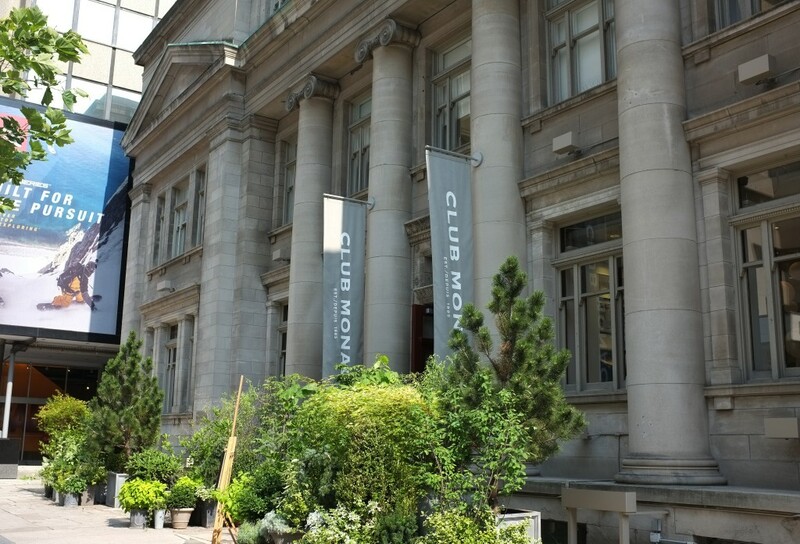 It used to be the department of household sciences for the women at U of T in the early 1900s but now houses the classics department (who couldn’t have picked a more appropriate building) and a Club Monaco. The inside is basically all marble and has really pretty stained glass windows. 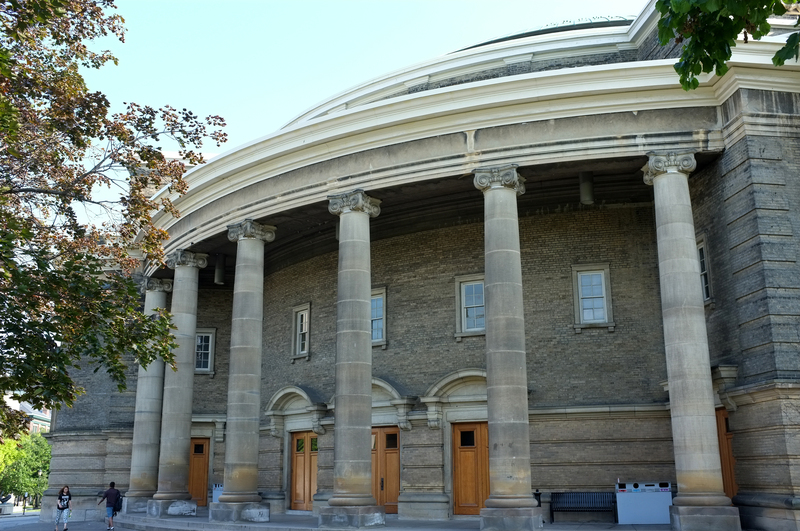 Convocation Hall is also not a history building but if you’re entering your first year at U of T it is very likely that you will have a class in here. It’s big and imposing but if you sit near the front or on one of the sides you forget about the fact that there are 1200+ students sitting in there too. I’ve also heard many a tale of it having wifi now but I don’t know if I believe that. So there you go! 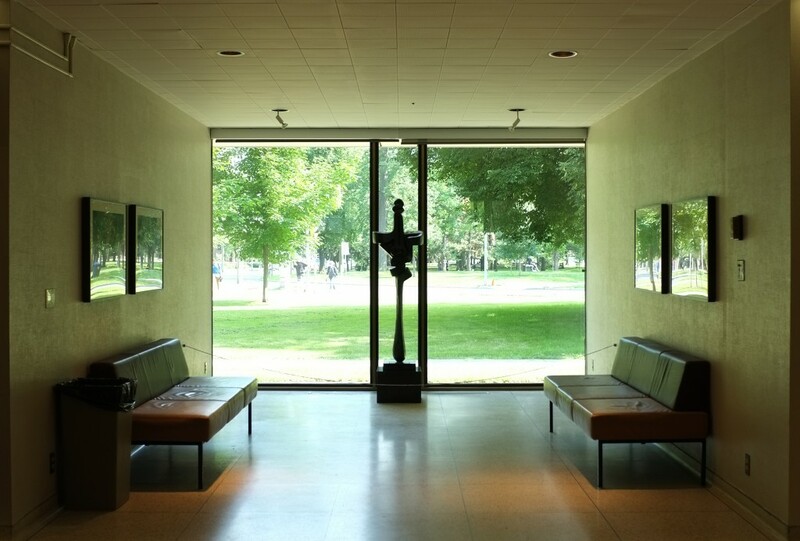 A little post that hopefully helps you see where you might be taking classes come September. Once you enrol in your courses on ROSI you’ll be able to see the location codes and plug them into this map so that you’re ready for September!